My husband and I embarked on a 3-week meal plan developed by Stephanie. The foods we enjoyed were whole foods free of common instigators. The meals were free of gluten, lactose, refined sugar, corn, grains, soy and additives. I have always considered myself a healthy eater, but I never consciously avoided these instigators. Throughout the 3-week plan, I have been reading labels and making better decisions on foods I use. I never realized how many of the foods I was using had added sugar! This has been a real learning experience for me. We have both enjoyed trying new meals and using different ingredients. I have also learned to adapt some favorite recipes to make them more healthy. My husband and I never found ourselves to be hungry on this plan. We certainly spent more time in the kitchen than we used to, but it has been good for both of us. We both have noticed that we feel better eating clean foods. We have more energy, are sleeping better, and we both even lost some extra holiday pounds! Even though the three week plan has ended, we both plan to continue eating this way. Healthy choices makes healthy bodies! Keep up the good work you are doing, Stephanie Colo Manning!" "I'm doing great over here. I've been feeling pretty darn good. My skin is looking great, stronger than before. I started working out again. I was really able to see the effect of eating grains - digestion was slow and I was bloated. It's SO cool to eat SO many veggies at a meal, that I don't want to eat anything else (sugar, grains, etc). Actually, really really super pumped about the meal planning. By the third day, the order of making dinner every night and KNOWING what will be made, has made dinner a fun time for the family instead of the mess it was before. Starting to throw in a few variations and tweak it a bit. I am still so super stoked about it." "You are helping so many of us and I continue to feel so much better each day with this new way of eating....While I am not 100% whole food yet, I am planning meals differently, making better choices, and enjoying the results. Not only do I feel better today, but these changes are positively impacting our future health. I am very grateful for all you have been teaching us!" "Thanks for the wonderful cooking lesson and tastings! So fresh and full of flavor. Look forward to introducing my family to spaghetti squash. 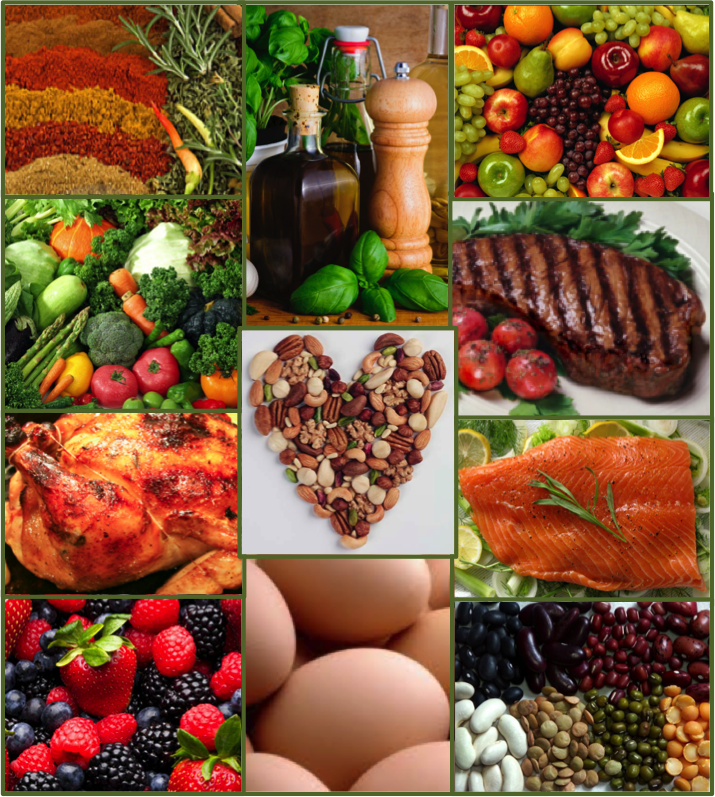 LOVE all this fresh, healthy, and most importantly, delicious food!!!" "Stephanie has armed me with a wide variety of recipes which have enabled me to make a smooth transition from a processed-food diet to an almost completely whole food diet for my family. I have now successfully expanded my children's palates (as well as my husband's) to include not only more vitamin-rich vegetables, but to more seafood options and a range of new flavors I never dreamed they would appreciate. Her tips to more efficiently and economically make the most of everything I create in the kitchen have reduced the day-to-day burden of providing healthy options for my family. I utilize the techniques and recipes I've been taught through Colo Kitchen daily!" "The transformation in Stephanie in a short time was remarkable. It was easy to see that not only did she feel great, but she looked great. She lost weight, her skin looked radiant and she seemed full of vitality. I wanted to know the secret behind her transformation and jumped at the chance last Spring to enroll in her cooking class. Her message was simple: healthy, nutritional food can also be delicious. I took home what I learned in her class, and incorporated it in the way I shopped and cooked for my own family. Perhaps the biggest lesson I have learned is that even small changes can yield big results in improved health. And she makes me want to make big changes. Stephanie has been such an inspiration to me." "Thank you so much for such a fun morning of cooking and learning! I really enjoyed it. So grateful for all the info that you gave us. We enjoyed the meal; it was very good and much better than our previous night of plain chicken and brussel sprouts! You have a great thing going and I hope you help a lot of people. You have my support!" "I was feeling awful and my test results scared the heck out of me. Stephanie convinced me to change my diet (with my doctor's approval), explained how and why, and she held my hand along the way. I quickly realized it wasn't that hard - in fact it was good because I was doing something for me. I wasn't depriving myself, and I love myself enough to take care of me. Every time I put something good into my body I knew I was being good to myself. Now my blood work is normal, and I will never go back!" "I was using my oven so infrequently - ironically it was where I stored my pots and pans! I had to start by finding a new home for them to make access! This is so easy now. Stephanie is very inspiring. I always thought it will be so much work!" "Stephanie is living proof that the food you eat can either be the safest and most powerful form of medicine, or the slowest form of poison. Outcomes speak louder than words - I've watched her go from being very ill, to putting herself into remission and eliminating the toxic prescription meds. She reads and reads and reads, and listens to cutting edge doctors at health summits just for fun! She leaves no stone unturned, and does not buy into anything without diving in and making sure it makes complete scientific sense to her." "I think these may be my new favorite cookies." "I'll be there in a minute mom, I want to finish my kale chips first." "The gluten-free diet is not that bad anymore because there are so many new recipes that are really good. It doesn't even feel like anything is taken away from me." "Cooking with Colo Kitchen is great! Superhealthy and delicious!"